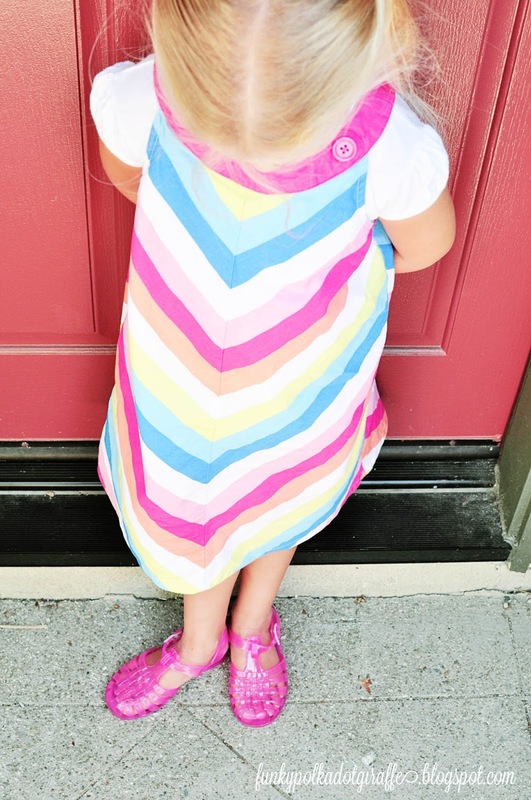 Funky Polkadot Giraffe: Jelly Shoes: They're Back! 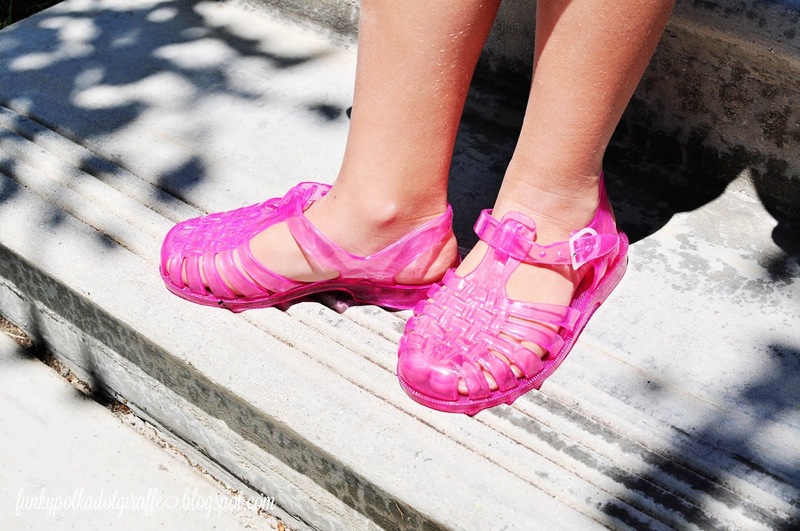 and they were the highlight of my budding little fashionista wardrobe. but it seemed they were gone from the market. were never quite like the jelly shoes that I remembered from my childhood. But they're back, BABY! And they are cuter than ever! 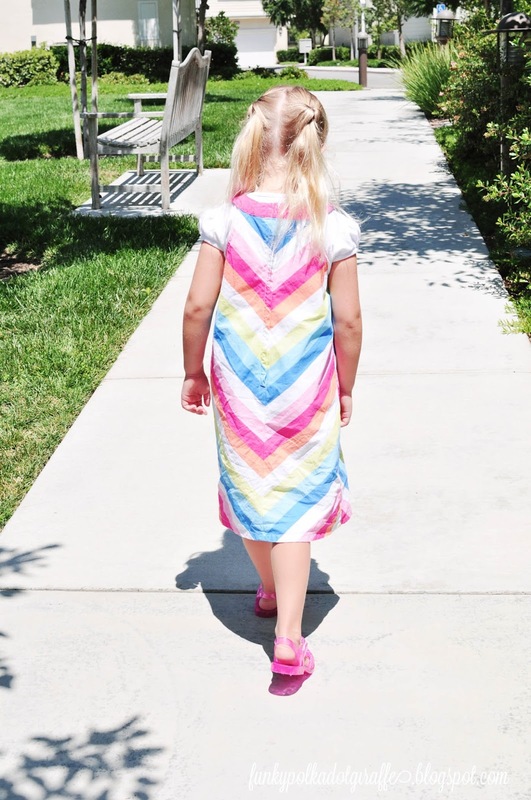 They come in a wide range of colors and sizes - even for mamas. 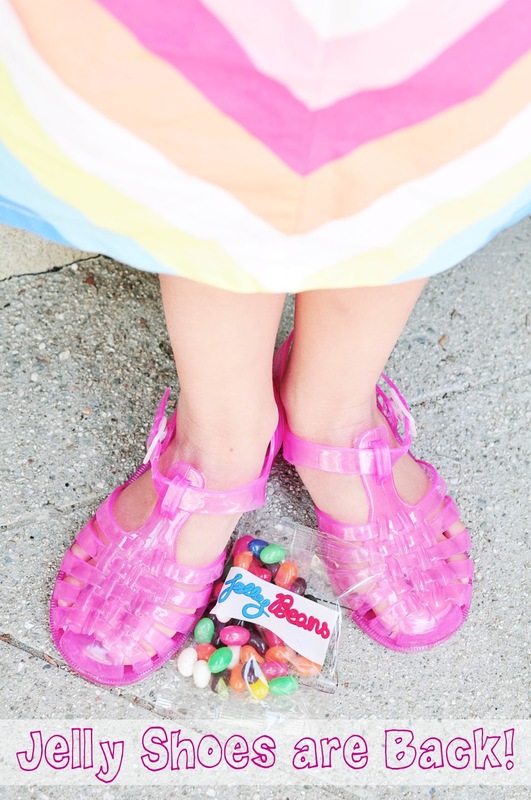 Jelly Beans are Australian owned and operated since 2011.
up to all the places little feet are sure to take them. Isabella literally gasped when I opened the box and revealed her pretty pink shoes. She exclaimed, "I promise, Mom, I won't ever take them off or lose them at the park." She has a bad habit of leaving her shoes wherever the mood strikes her to remove them. 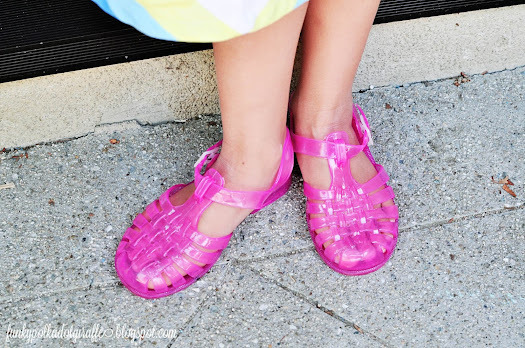 Last summer we lost three pairs of darling sandals. So, she loves these so much she was willing to promise to never take them off. The first place she wanted to wear them was to church. She has this fun rainbow chevron dress and she had the idea to pair them together. She was excited to show them off to her friends. for the first couple of times she wore them. 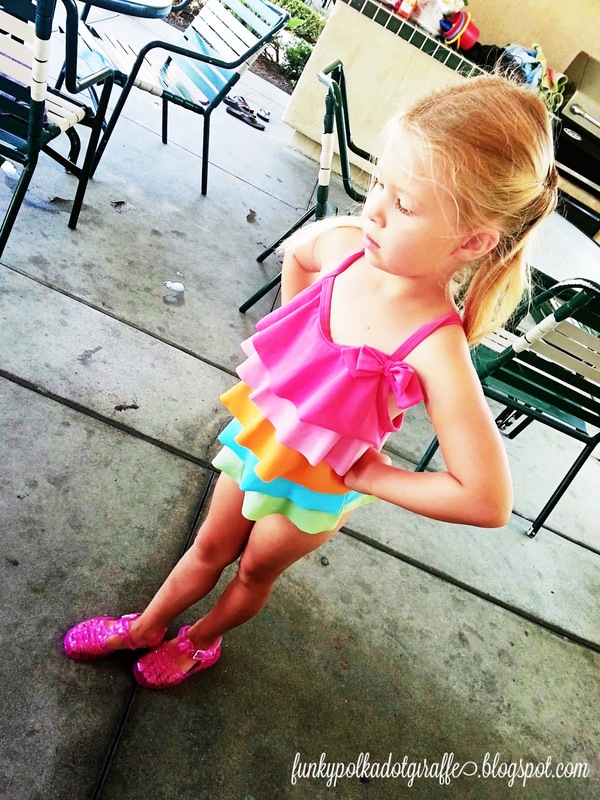 her cute summer swimming suits. I love that they are bright pink, because they are easy to find! And since she wears a lot of pink, they go with a lot of her casual and dressy outfits. will ship from the US, so that is even more awesome! You'll love all the pretty colors they come you'll want one for every outfit. Isabella has the clear ones on her radar for her next purchase.